I know of no other subject which draws a greater and more passionate debate amongst coaches and parents at the little league baseball level of play, than what is sportsmanship and how does it apply to how the game should be taught to the kids? This is a very important subject for any coach to understand, because it defines how he’ll teach the game and how he’ll relate to the players’ parents, which can make a season fun, or turn it into a miserable grind. “The skill to win is important, but the will to win is vital.” Joe P.
Looking at the quotes of these famous and very successful sports Icons I don’t see anywhere where they say “cheat” to win. I don’t hear “berate, belittle, yell, pout or do whatever it takes to win” in their messages. I believe the difference of is How you approach coaching defines what Sportsmanship is and I have listed a few approaches, which I believe to be very important. Should the team not progress, he must be wise enough to know the problem may be his teaching methods, not the players’ ability to learn. This is important, because it takes humility to admit your way may not be the right way and it can crush an egoistical person. 2. A coach needs to know his team’s limits. It’s a coach’s duty to challenge his team and playing opponents who are better is one of the best methods to improve, as they play to the level, up or down, as the opposition. However, he must protect them from being totally over-matched as it’s not good for a team to play its hardest day in and day out only to be destroyed every time they take the field. 3. I believe a Coach should teach Life skills as well as baseball skills. A coach should capitalize on the opportunities, there are hundreds, to apply baseball to real life, thus teaching morals, inner strength and mental toughness which will serve them long after they hang up their spikes. 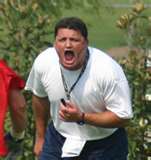 Nobody Said Coaching Was Easy. 5. You have pushed your players hard at practice and you have instilled confidence in them, and yourself, as you enter the season opening game against an opponent you consider inferior to your team. You lose 15 - 3 in 5 innings. 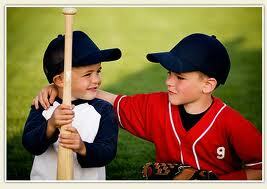 This is where Sportsmanship is defined. How did you and your players react to events of the game? Did your infielders take off their gloves and throw them when they missed a ground ball? Did you or your players moan and groan at every strike call by the umpire and complain he was cheating or favoring the other team? Did you yell and scream at the players when they miscued in the field? If any of the above or something similar took place … You sir, are a lousy Coach and should either resign or have an instant change of attitude. In games such as these, and believe me you’re going to experience them, everybody does, is where you teach Sportsmanship. You encourage your players no matter how terrible things are going, not allow outbursts of any kind from your players, and at the end of the game you’re the first to go out and shake the opposing Coach’s hand. After the game I’d always take my team off to themselves and we’d talk. Maybe I’d better say that again for some of you. We’d talk. If we played a lousy game, I’d let them know it, but in a calm voice. I’d explain it happens to the best of us, but we didn’t want it to become a habit. If we were just outplayed, I’d tell them that too. I’d let them know I was proud of them for giving a 110% but it just wasn’t our day. The main thing is we never quit and played hard to the end. Sportsmanship is not easy to define, but if being disappointed because you lost is a sign of a poor sport … then I guess everyone is either a poor loser or a liar. I honestly don’t believe anyone likes to lose. It’s how you handle defeat which defines your sportsmanship and to enlighten the people who think “ having fun “ is all that matters, Losing is not fun no matter the age.